Replace the standard Mobius battery with a capacitor specifically aimed to improve the performance of the camera when used as a dash cam. Regular use of the Mobius camera as a dash cam can result in battery problems such as overheating. This is due to the continued power supply going through the camera. A capacitor allows the camera to function when powered and provides enough power once the camera has been disconnected to safely shut the camera down. 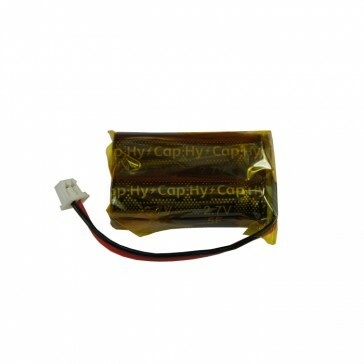 The capacitor simply replaces the battery by swapping them over. You will need to unscrew the back of the camera and swap the battery with the capacitor. Is it possible to purchase a Mobius car cam with a capacitor pre - installed ? Hi Mike, thanks for your question. We can install this for you if you allow an extra couple of days for the technicians to do this for you. Just make a note on the checkout comments box that you would like this and we'll do this for you.